There are certain high-risk behaviors that may increase your risk of cavities and which may require you to receive fluoride treatments more often. These include excessive alcohol consumption, smoking, poor oral hygiene, chronic dry mouth, weak enamel, and poor diet. 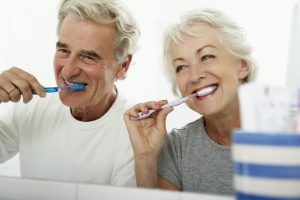 If any of these applies to you, it is best to get a fluoride treatment each time you visit The Chicago Center for Cosmetic & Implant Dentistry, or at least once a year.